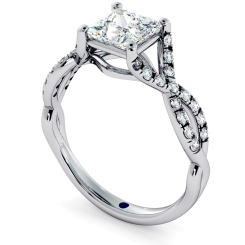 We at Shining Diamonds believe that getting engaged is a most precious moment in anyone's life is with this in mind that we want you to find the most precious and long lasting engagement ring to remember the day and cherish forever. 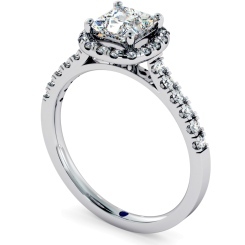 Our stunning selection of Princess cut halo engagement rings is handpicked by our team of experts. 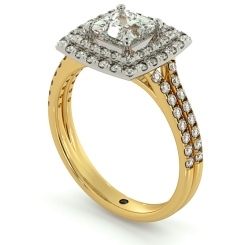 Our selection of halo diamond rings in round, princess, pear and range of designer cuts on offer ensure that you can find a ring which perfectly matches her style and symbolize your special and unique love. If you feel one diamond isn’t enough or fancy something a little different from the traditional one diamond engagement ring, then our diamond princess cut halo engagement rings will be perfect for what you have in mind. 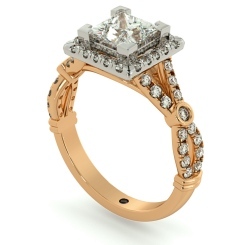 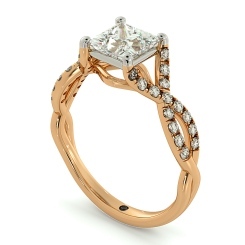 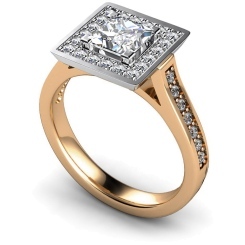 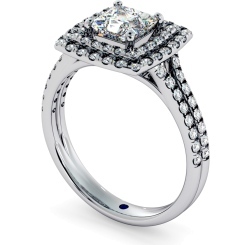 Here at Shining Diamonds, it is our mission to find you an engagement that your wife-to-be will adore. Explore our princess cut halo engagement rings in selection of precious metal including platinum, white, yellow and rose gold. We believe it's wonderful to create your own engagement ring, with our bespoke service you can create something completely unique that no-one else is wearing anywhere else. 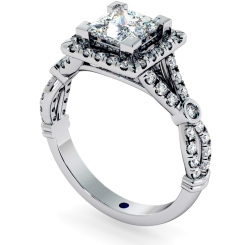 All the diamond engagements ring we sell at Shining Diamonds are certified conflict-free. 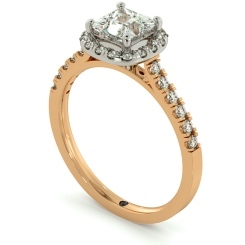 We offer a 30 day returns policy and free samples are available on request – giving you peace of mind every step of the way.